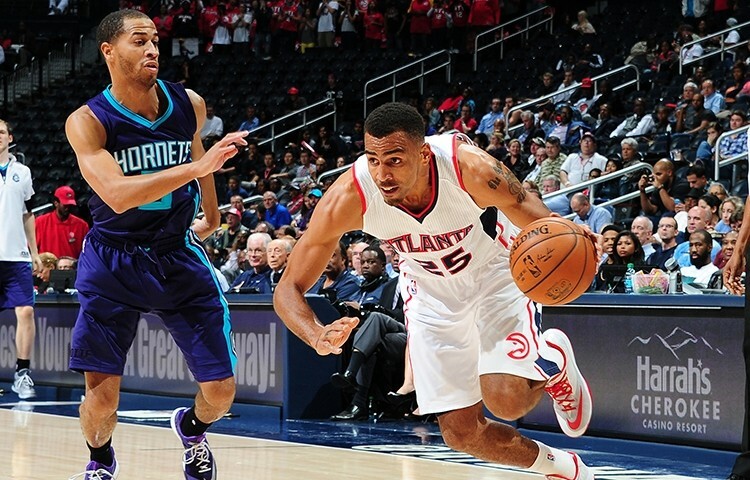 Thabo Sefolosha of the Atlanta Hawks. 1. New York police officers were captured on video, beating and breaking the leg of NBA player Thabo Sefolosha of the Atlanta Hawks, knocking him out for the season and the playoffs, the Nation reports. Police claimed at first that Sefolosha, who is Black, had resisted arrest, but the video appears to contradict that assertion and shows cops wrestling him to the ground and beating him. The Hawks are the number one ranked team in the NBA’s Eastern Conference. 2. Sheriff’s deputies in San Bernardino County were caught on video, relentlessly beating and kicking a horseback rider after a strange pursuit through the desert, the LA Times$ reports. The video, which Sheriff John McMahon called “disturbing,” was taken by a TV news helicopter, and showed deputies striking the rider as he lay on the ground with his hands behind his back. 3. The head of the state Public Utilities Commission suggested that PG&E should possibly be broken up in the wake of a record $1.6 billion fine levied against the utility, the Chron reports. CPUC Chair Michael Picker said the utility may be too large and has failed to create a culture of safety following the 2010 deadly gasline blast in San Bruno. 4. East Bay MUD crews scrambled yesterday to clean up a large concrete spill in Glen Echo Creek near Mountain View Cemetery in Oakland, the Chron reports. 5. Following widespread criticism, Apple has rescinded its policy of banning ex-felons from working on the construction of the company’s new campus in Cupertino, the Mercury News$ reports. 6. And East Bay homeowners harangued the Bay Area Air Quality Management District’s proposal to force property owners to replace their fireplaces whenever a home is sold, the CoCo Times$ reports.